We had a plan but why should that get in the way of some HBK bike loving. 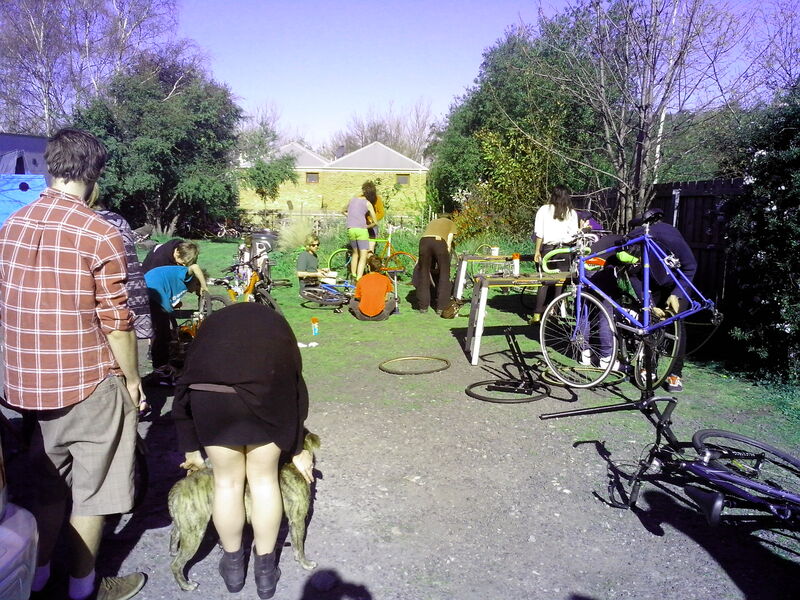 As you can read below and check out the photos it was a great day to get some bikes fixed, but we do have to complete the sorting and moving of bikes, move the green waste and getting the bike racking completed. So if you are thinking of coming to HBK this weekend please be aware that bike fixing will be a lower priority to doing the other tasks. That doesn’t mean don’t come. Please come along and lend a hand. 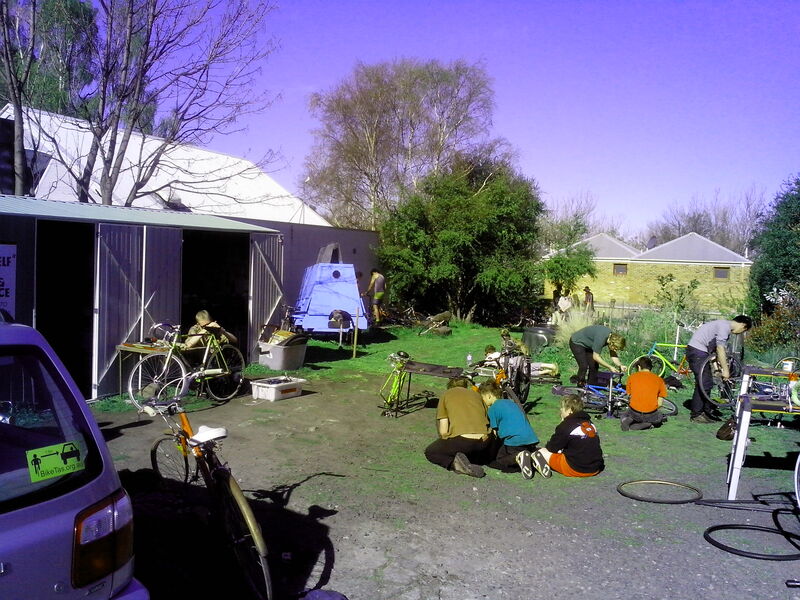 The sooner we get the other chores out of the way the sooner we get to fix bikes. It was a supersized Sunday at HBK this weekend. The sun came out and so did the cyclists seeking some HBK bike love. Matt and Maddie did a huge job helping out the punters, we must have had 20 people there at times working on a whole range of bikes, classic ladies step through getting attnetion, a dad working on kids bike, one of the 22″ 3 speed folders going, bunch of road bikes in various states of repair and more. We also had a assistant chef, who had got a bike recently and came back to lend a hand. Apologies that I’ve forgotten his name, but Matt will be able to enlighten us. 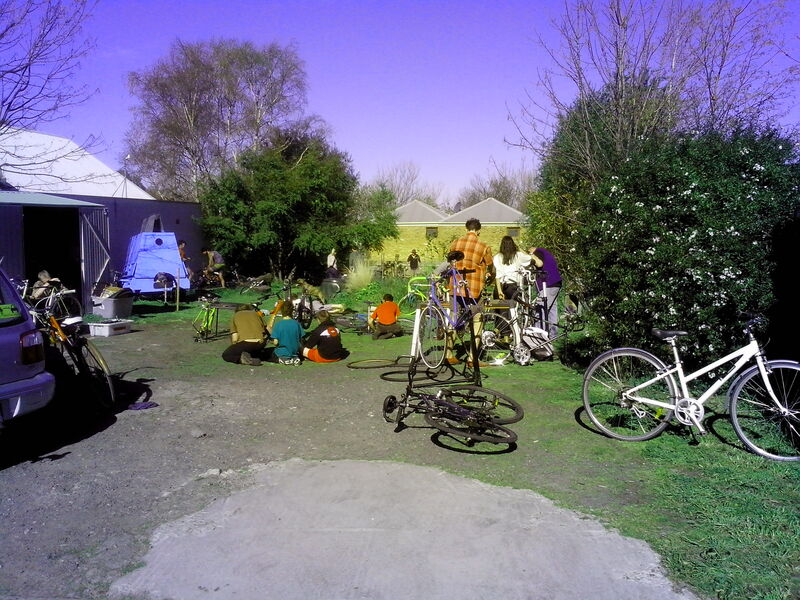 Mark and Ben got the bikes moved from their previous area and roughly sorted into piles. We’ve got about the right number of MTB/flat bar cruisers, good number of kids bikes, a mixed assortment opf the retro/classics bikes but probably too many frames with a lot of work to do, and very few road bikes. We did give a trailer load of bikes to Ant Edler and the Bikes for Africa project, though not as many as might have thought. We also have a heap of frames which we’ll have to decide are worth keeping or not as well as a heap of kids bikes not worth retaining. 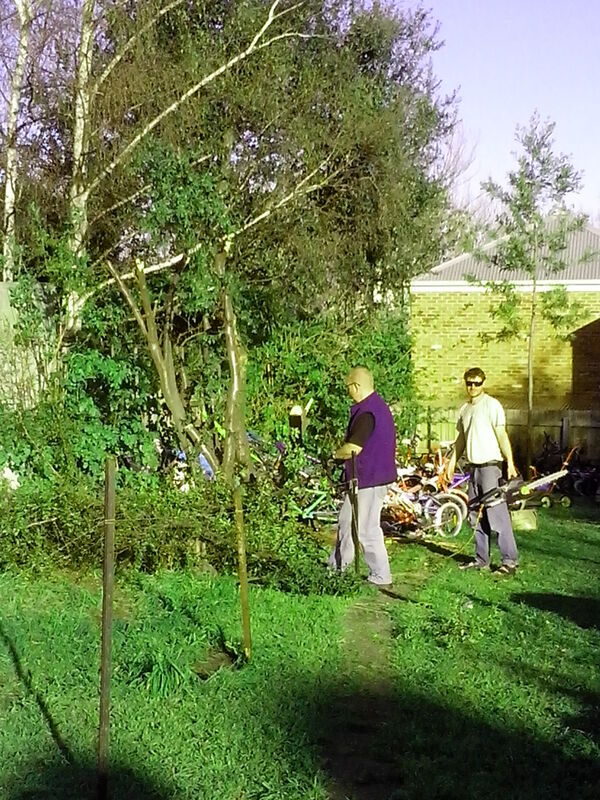 Bernd and Ben then got into the tree removal, removing the large woody weed we had many of the bikes stored under. Hope the thumb is feeling better Bernd. 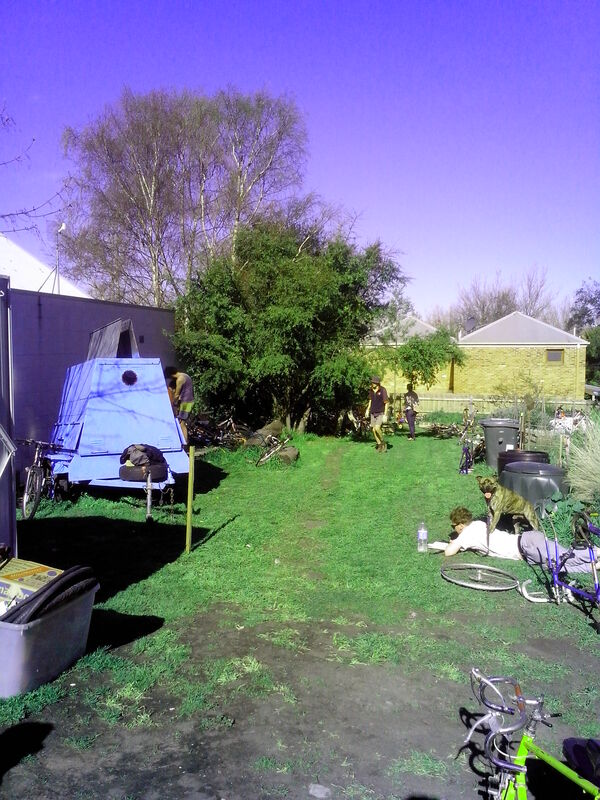 We didn’t have the time to take the green waste away on Sunday, so next Sunday when we’ll have to have a no. of tip runs.